Oluce was present at the exhibition of ‘The Italian way of living’, hosted within the sophisticated architectural spaces of Národní Dům in Smíchov (Prague) from the 7th to 19th November. 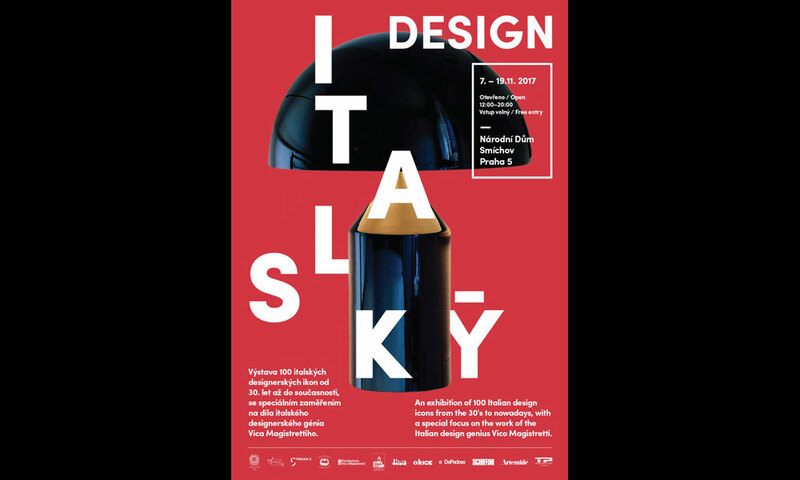 The installation features the leading figures, concepts and projects that have transformed Italian design. Starting with Vico Magistretti, the exhibition unfolds in a journey through over 100 works, which includes pieces, from among others, by Michele De Lucchi, Franco Albini, Marco Zanuso, Anna Castelli Ferrieri, Ferruccio Laviani, Piero Lissoni, Ettore Sottsass, Joe Colombo, Ron Arad, Patricia Urquiola, Phillippe Starck, Ronan & Erwan Boroullec. Oluce has participated in the show with two lamps designed by Magistretti: Atollo and Dim. Designed in 1977, Atollo over the years has become the archetypical table lamp, winning the Compasso d’Oro in 1979, and completely revolutionizing the design of the classic lamp shade. Its composition of geometric shapes – the cylinder, cone and semi-sphere – gave rise to a decorative yet essential product, outside the boundaries of the historical period or fashions of the time. A product that has now claimed its rightful place among icons of Italian design. Atollo is available in three different sizes and finishes; gold, white or black metal and opalescent glass. Dim, designed in 1975, is a homage to functionalism for the essential nature of its elements, yet it succeeds in surprising thanks to the unexpected shape of its lamp head. The round, painted steel base supports the slender stem to which a “double-gull’s-wing” shaped head is attached by means of a mechanism that makes it possible to move it upwards, downwards and sideways. Especially designed to host a powerful halogen light bulb, the double wave of the lamp head has always been the characteristic feature of the Dim model, now one of the great classics in the Oluce catalogue.